This is critical thinking puzzle for school going students which will make you think outside the box. Solving this puzzle will help you to improve your lateral thinking skills. If you love to play the game of chess and you enjoy solving chess puzzle, then you will definitely like this lateral thinking puzzle. 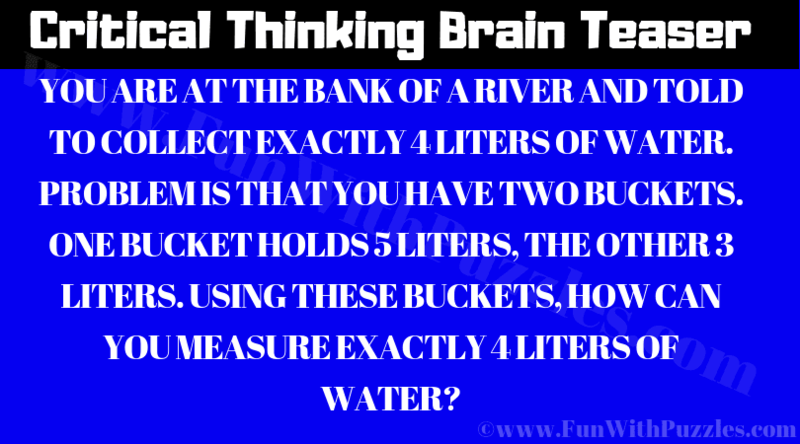 You will also need to do some mathematical calculations to solve this critical thinking puzzle. So can you think outside the box to solve this puzzle? Can you solve this critical thinking puzzle?